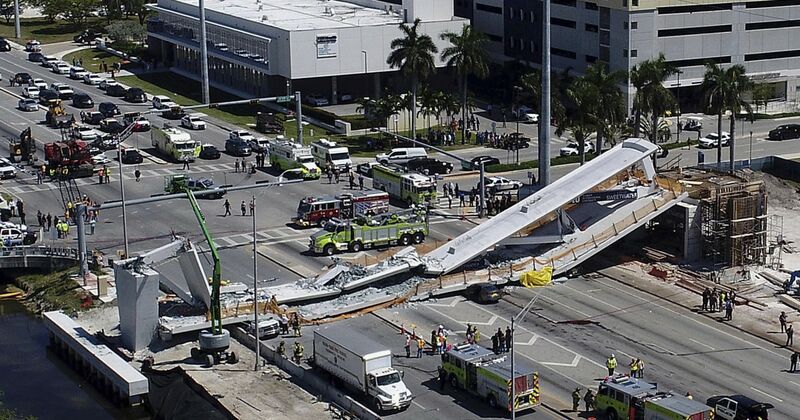 At least four people died Thursday when a pedestrian bridge collapsed near Florida International University, Miami-Dade County Fire Chief Dave Downey said. At least eight cars were crushed. The bridge's span was just installed Saturday, an effort to boost safety on a busy street where an FIU student was fatally struck by a vehicle last year. The bridge wasn't opened yet, it was still being finished. And since its Spring Break Week for the school (and most FL universities), I'm sure the casualties would've been higher if it was a school week and it was open to walk on it.